Paul Daley and Bellator MMA have agreed to terms on a new contract, clearing the way for the British knockout artist to enter the promotion’s welterweight grand prix. Bellator 199 ‘Bader vs King Mo’ takes place May 12, 2018 at SAP Arena in San Jose, Calif. MMA Mania talks to Jon Fitch about making his Bellator debut against the explosive striking of Paul ‘Semtex’ Daley! Earlier in the night a critical bout in the Welterweight division offers a promotional newcomer a chance to instantly jump to the top of the ladder. Jon Fitch (30-7-1, 1 NC) was the WSOF and PFL Welterweight champion before leaving both behind to sign with Bellator in March. There are no shortage of guys in line to face “Red King” Rory MacDonald, but Fitch’s name and reputation could shortcut him to the top with a very impressive win. Paul Daley (40-15-2) has something to say about that. Every time “Semtex” fights there’s a strong possibility of a knockout. He’s got some of the heaviest hands this division has ever seen and even though both men had a past in UFC they’ve never crossed paths until right now. Today MMA Mania talks to Fitch about leaving his last promotion to start over again in Bellator, what he thinks of Paul Daley as an opponent, and why he bailed out on “Sugar” Ray Sefo’s organization this year. There’s little question it’s been too long for the now 40 year old Fitch to wait. His last bout was in June 2017 so that’s nearly a full year of inactivity for an elite level fighter. In the process Fitch vacated his WSOF/PFL title, not that he seems too broken up about it, especially given the prospect of a Daley fight looming just around the corner in San Jose. Once place “Semtex” never brought it to him was UFC. Even though both men were in the organization between 2009 and 2010, for whatever reason that match never came to fruition. That would be a mistake given that Fitch has won six of his last seven and four straight in a row. Even at 40 years old Fitch just may be coming into the prime years of a long and storied career. Daley may be five years younger than Fitch but he’s been in the fighting game just as long, racking up an astounding 57 MMA fights in that span plus 24 more in kickboxing. He’s also lost 15 MMA fights though so Fitch sees chinks in his armor. In addition with Fitch’s 19 wins by decision he knows he can take tough opponents to the judges with his Purdue wrestling and AKA cardio. While Fitch can’t afford to look past Daley and his prodigious punching power, he’s still got his eyes on the prize in the Welterweight division. Tune in to Bellator 199 on May 12, 2018 to see if Jon Fitch can knock off Paul Daley and take that next step toward facing Rory MacDonald. 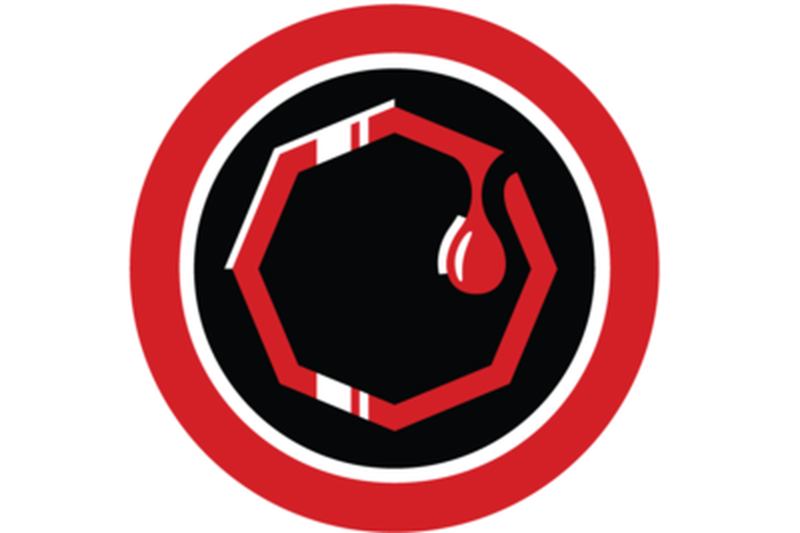 The post Bellator 183 Results: Paul Daley Smokes Lorenz Larkin appeared first on Caged Insider. The post Bellator 179 Results: MacDonald Taps Out Daley, Daley Attacks Michael Page in Crowd appeared first on Caged Insider. Let’s be honest with ourselves here. When the this bout was first announced the initial reaction was that of pure excitement. While the modern day UFC execs want you to believe that there isn’t a possibility of exciting fights outside of the promotion. Paul Daley versus Rory MacDonald is example of just how crazy that thought process truly is. Each of these men bring something to the table to make this an immensely intriguing bout. The style clash in this match is pretty intriguing. Where Rory MacDonald may have a more well rounded game, Paul Daley is the slugger that can put anyone out with a couple of well placed shots. Daley has always done well playing the aggressive counter striker, specifically when you consider the fact that he has dynamite in his fist. His kicks and knees are also incredibly destructive as many a victim as discovered. His most recent victim Brennan Ward had to learn the hard way that you either create distance and separate from Daley or face the crushing consequences. Daley has the tools to win this fight, but it’s a matter of staying disciplined throughout. He can’t stay on the center line and expect to do work against MacDonald. Instead, he’s going to have to offer a moving target for the former UFC title challenger as to avoid being taken to the ground. His left hook to the head followed up with another to the body will help to keep MacDonald’s hands at home. A well placed cross or over hand right will also deter the Canadian from throwing out his jab recklessly. Leg kicks should also help, but he’ll need to set things up with either a jab or left hook as standing right in front of MacDonald is simply a recipe for disaster. On the other hand you have Rory MacDonald who is much more of an all around technician. Rather than come into fights with go to weapons that makes him feared by the opposition, what really makes him such a danger fighter is his ability to game plan, search for weaknesses in his opponent’s game and attack it with calculated precision. MacDonald is the type of fighter that will find out exactly what you want to do, file it away for further study, then exploit that weakness as the bout carries on. Coming from TriStar you can expect nothing less. They tailor their game to their opponents. But you can always expect to see one element that remains constant. The jab. Rory MacDonald is proficient at throwing the jab and should really am to use it against a striker the caliber of Daley. But rather than just use the jab as a range finder or set up, MacDonald needs to vary the way he utilizes the strike. Daley will likely look to counter off of the jab so full commitment in the first round should be saved for when MacDonald becomes used to the distance. He should use the jab as a range finder first, then as a set up, then as an actual snappy hurting punch. Rory should also utilize his kicking game as much as possible. MacDonald is more than likely going to be the man to initiate the wrestling game so he should be aiming to use kicks as much as possible, particularly the front snap kick that will both wind Daley and keep the slugger at bay. This will be one of the highest profile Bellator fights ever, particularly when you consider how highly touted Rory MacDonald is. This is a shining opportunity for Paul Daley to play spoiler and build his and Bellator’s brand. That alone makes this fight one to watch. The post Bellator 179: Paul Daley Looks To Validate Himself With A Win Over Rory MacDonald appeared first on Cagepotato. Former UFC welterweight title challenger Rory MacDonald finally made good on his Bellator MMA billing last night (Fri., May 19, 2017) at Bellator 179 live on Spike TV from London, England. After a dominant first round chock-full of ground control and precise offense, MacDonald took English knockout artist Paul Daley to deep water and proceed to hold him under. After “Semtex” relinquished prime position on the ground to begin Round 2, MacDonald slid through and worked for the rear-naked choke finish. The memorable finish can be seen above. With this win, “Red King” is locked in to meet the winner of Douglas Lima vs. Lorenz Larkin for the welterweight championship. It has been a long time coming for the 27-year-old Canadian, but MacDonald looks primed to take over the 170-pound crop and outclass Bellator’s best. For complete Bellator 179 results and coverage click here.